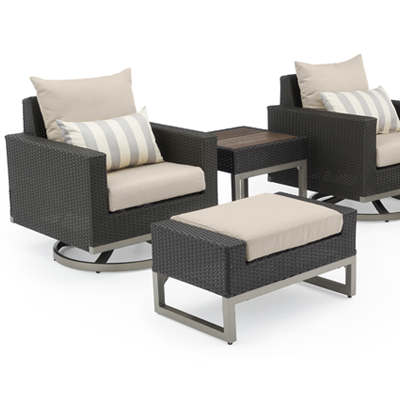 The Milo 4pc Seating Set is the quintessential spot for cocktails and conversation. Our high quality, powder coated aluminum frame and durable fabric can hold up to the elements so your next get together can be worry free. Each coordinating piece in the set exhibits the clean-lined silhouettes of modern style. 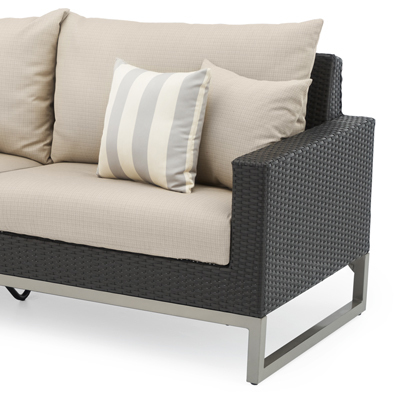 We've even included designer coordinated accent pillows to ensure a current and sleek style. 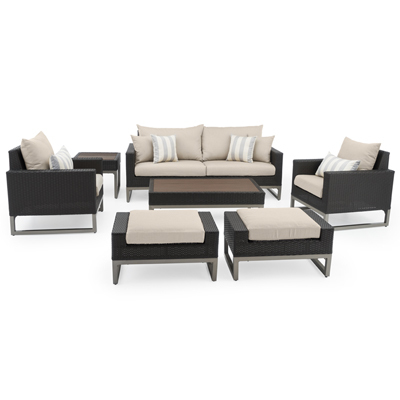 Set includes two club chairs, a 78-inch sofa, coffee table, and six coordinated accent pillows. 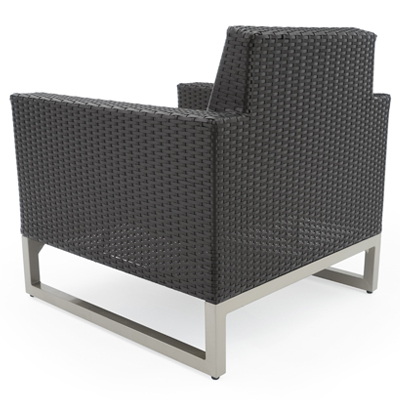 Mixed material frames are hand-woven with durable SolarFast® resin wicker. Coordinates with the pieces in the Milo Collection.